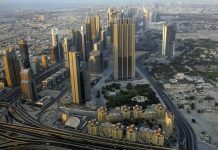 Dubai: Stricter regulations governing school buses will be in place by September this year as traffic authorities have amended the School Transport Law. 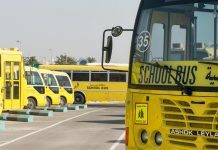 * Image Credit: Gulf News Archive * Authorities have laid down detailed specifications for school buses to ensure the safety of students. According to latest strictures, bus routes will have to be approved by school principals. 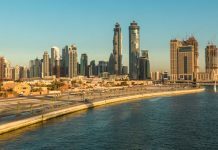 Roads and Transport Authority (RTA) officials told Gulf News on Sunday that six months’ notice have been given to schools to comply with the changes, following which the law will be implemented stringently from September 1. 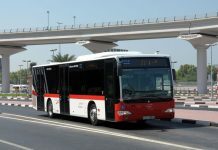 “According to the law [first issued in 2008], school buses cannot speed more than 80km/h, and must have RTA-approved speed control devices installed to ensure this,” said Furat Ali Al Ameri, director of franchising and enforcement at the RTA’s Public Transport Agency. The law also mandates the presence of a female attendant on every school bus, except buses transporting boys above grade 6. 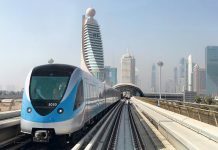 Attendants must have completed adequate training and must have the ID card issued by RTA on them while they are on duty. Schools must assign a bus transport supervisor, whose contact details have to be communicated to the parents, the law says. 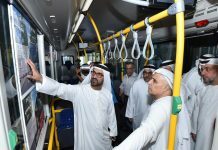 “Action will be taken against schools who have children overcrowded in buses without adequate seats as the law obliges schools to provide one seat for each child,” Al Ameri said. Bus routes must be approved by the school principal as well. Stop sign boards, GPS systems and first aid kits are also a must on school buses. “The safety of children is at the heart of the new changes,” he said, urging schools to abide by the regulations. RTA will introduce more improvements as required, he added. He called on motorists to be mindful of school buses offloading and picking up children. Many a times we see that even though these buses have the stop sign on, some drivers just continue on their way, which could potentially lead to fatal accidents, he reminded. The law defines the responsibilities of four stakeholders — bus attendants, bus drivers, parents and transport companies. 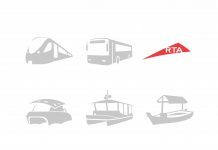 RTA is really doing a lot for Passengers whether its Road or Rail. 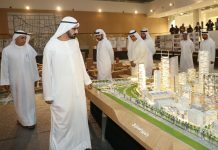 Really building confidence in people living in Dubai..
Have you seen the driverless cars scooting around Downtown?